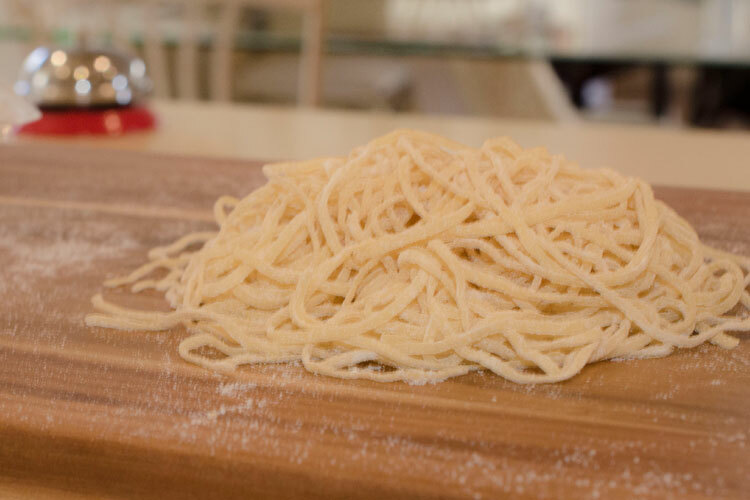 A thinly cut pasta, our spaghetti is made with 30% egg white, and Durum wheat. Cooks enough for 4 large serves. Keeps for Seven days in the fridge or freezer. Cook from frozen. Sold in 500g packs, but larger quantities are available. Please enquire.